Okaloosa County has a relatively short history. Before the Civil War, virtually nothing of historical importance occurred in the area. The area was a true wilderness. Filled with Mosquitos, hot summers, and no roads, the early settlers surely had a dangerous path ahead of them as the began to lay the foundations that would eventually support beautiful Okaloosa County. Somehow, through fishing, hunting, and trading, these early pioneers managed to establish a few outposts in an otherwise barren region. As these early pioneers began to meet and trade ideas, goods, and news, small towns eventually began to form. The founding of Okaloosa County as an actual incorporated region can be traced back to Laurel Hill and State Representative William Mapoles. In 1915, Mapoles brought a bill to the Florida House floor that created a new county form the existing counties of Walton and Santa Rosa County. Okaloosa County got its name from an old steamboat that used to drive up and down the Blackwater River… bringing people from Milton to Pensacola. The word “Okaloosa” originates from a Choctaw word meaning “black water.” Eventually, a temporary county seat was set up in Milligan until a special election was held in 1917 and Crestview was selected as the new county seat (Crestview remains the County Seat today). During the early part of the 20th century fishing, turpentine, and timber could be counted as the three major sources of economic wealth in the region. Major railroads from Atlanta and Nashville helped truck the goods out of the area. Before this great advancement, the people of the area were largely reliant on the river to float the good up and around the surrounding areas. 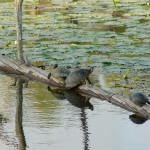 Communities began to grow around area of great turpentine production or fish harvest. Okaloosa County managed to stay basically a rough pioneer’s community for about a century until the 1940’s/1950’s. The military and tourism finally began to make their foothold and the area has never been the same since. This influx of people and money also brought nice modern conveniences like paved roads, electricity, and telephones. Local entrepreneur James E. Plew, saw the idea of bringing in Uncle Sam as a way to heal the wounds of the great depression. 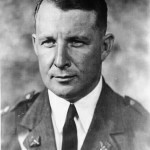 He eneded up donating 1,460 acres of land to the U.S. Government for a bombing and gunnery range (Eventually renamed “Eglin” after Lt. Col. Frederick Irving Eglin). Our Law Firm has been servicing all of Okaloosa County, FL for over 30 years. If you are someone you love has been involved in a serious accident, please call us today at 1.850.243.2222 (locally in Fort Walton Beach) or 1.800.BRUNER.1 (toll free). 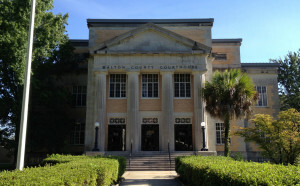 Are you currently looking for a Walton County Attorney? Walton County is located within the Florida Panhandle and contains many small cities and towns. 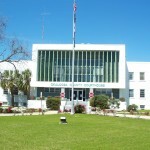 Walton County was founded in 1824. It was named after former Secretary of Florida, George Walton. Walton County has three cities which are DeFuniak Springs, Freeport, and Paxton. DeFuniak Springs is the largest of the three cities. Walton County also has many notable small towns including Mossy Head, Glendale, Seaside, Miramar Beach, Grayton Beach, and Santa Rosa Beach. Walton County is known for having a diverse geographic makeup. The south-end of Walton County has incredible white-sand beaches along the Gulf of Mexico. Each year thousands of visitors travel to South Walton to enjoy the small beach communities of Walton County. The central part of Walton County is flat and borders the Choctawhatchee Bay. The north-end of Walton County is green and hilly, containing Florida’s highest point of elevation. Walton County is sparsly populated with a population density of 52 people per square mile. As a result there are many small roads with high speed limits to help people commute across the county. Small roads with high speed limits sometimes lead to accidents and collisions. These conditions are frustrated during the summer months when visitors arrive and congest local roads. If you or a loved one have been injured in an auto collision and you are looking for a Walton County Attorney, please contact The Bruner Law Firm. The Bruner Law Firm has represented clients from DeFuniak Springs, Paxton, Freeport, Mossy Head, Glendale, Seaside, Miramar Beach, Grayton Beach, and Santa Rosa Beach over the past 30 years. The Bruner Law Firm has a Walton County Attorney at our offices located in Fort Walton Beach, and Panama City, Florida. To contact The Bruner Law Firm please fill out out contact form on our website, or call 1-800-BRUNER1 or 1-800-243-2222. Have you found yourself in a position looking for a Navarre Florida Lawyer? Navarre, Florida was platted as a town by Guy Wyman in 1925. Known as “Florida’s Best Kept Secret”, Navarre is a quiet coastal town with suburban areas and a thriving tourism industry in Navarre Beach. 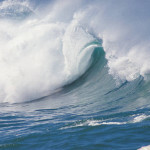 Visitors travel to Navarre to escape more crowded areas and enjoy the local waters. Navarre is surrounded by the Gulf of Mexico, the Santa Rosa Sound, and the East Bay. Navarre’s local waters provide opportunities for fun and enjoyment, but also create risks for accidents to occur. Jet skis, boats, parasails and other water activities sometimes lead to personal injuries. If you are looking for a Navarre Florida Lawyer, The Bruner Law Firm has represented several clients in boating and jet ski accidents. If you or a loved one have been injured due to a water activity and are looking for a Navarre Florida Lawyer, please contact The Bruner Law Firm at 1-800-Bruner1 or 1-850-243-2222. Navarre is also home to many military families since it is closely located to Hurlburt Field, Eglin Air Force Base, and the Pensacola Naval Air Station. The combination of tourist, military, and local residents traveling through and to Navarre creates congested traffic conditions. These conditions peak during the summer and are worsened during the afterwork hours due people commuting to and from work. The increase in traffic provides for greater chances of auto collisions and accidents within the Navarre, Florida area. If you are looking for a Navarre Florida Lawyer, The Bruner law firm has represented hundreds of clients in auto collisions over the past 30 years. If you or a loved one have been injured in a car wreck, please contact The Bruner Law Firm to get in touch with a Navarre Florida Lawyer. You can contact The Bruner Law Firm by calling 1-800-Bruner1 or 1-850-243-2222. You can also fill out the contact and case evaluation form on our website. If you find yourself looking for a Shalimar Florida Attorney, the Lawyers at the Bruner Law Firm are ready to help. Shalimar, Florida, is a small town located in Okaloosa County. Originally called “Port Dixie,” Shalimar began as a housing community for military officers developed by the town’s first mayor, Clifford H. Meigs. Shalimar is now known for it’s family-friendly neighborhoods, Choctawhatchee Bay, Shalimar Poquito Bayou, and Garnier Bayou. While generally a quiet town, Shalimar experiences a heavy influx of traffic due to visitors traveling to the beach, and residents commuting to and from work. The abnormal and varying amount of traffic within Shalimar creates a high potential for automobile accidents and injuries to occur. Also, traffic in the mornings to nearby Eglin Air Force Base creates many road hazards and dangerous situations as people rush to make it to work early in the morning. The Shalimar Florida Attorney and claims consultants at The Bruner Law Firm have helped hundreds of clients in the city of Shalimar, Florida and will meet by appointment at any time, at any location. We have settled the claims of hundreds of out-of-state claimants as well. Even if you are an individual that has come to Shalimar Florida from another state, the Shalimar Florida Attorneys of the Bruner Law Firm can help you with you case. The Bruner Law Firm specializes in giving individual attention to our clients. Call our Shalimar Florida Attorney today at (850) 243-2222. The consultation is free and there is no commitment required. We have offices in both Fort Walton Beach, (very convenient to Shalimar, Florida) and Panama City, FL. For more information on the City of Shalimar, the wikipedia article can be accessed here. 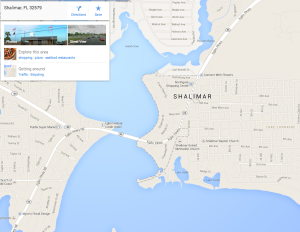 This map from Google Maps shows the geographic areas of Shalimar Florida. Destin, Florida, is located in Okaloosa County. 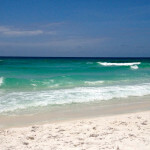 Destin, Florida features some of the most beautiful beaches and waters in all of the Emerald Coast. 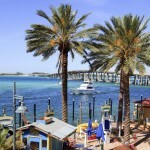 Although Destin is an incredibly beautiful and friendly place, it is not free of injuries and accidents. During the summer months especially, Destin experiences a major increase in accidents and fatalities. The increased number of visitors from places like Birmingham and Atlanta create a huge influx of traffic…and with that…a corresponding increase in the number of the most dangerous instrumentalities in our society; the automobile. The Lawyers and Claims consultants at The Bruner Law Firm have helped hundreds of clients in the city of Destin, Florida and will meet by appointment at any time, at any location. We have settled the claims of hundreds of out-of-state claimants as well. Tourist or local, our attorneys can help you achieve a fair and just settlement from an insurance company or litigate a claim against an individual. The Bruner Law Firm specializes in giving individual attention to our clients. Call our Destin Lawyers today at 1800BRUNER1 or 1-850-243-2222. The consultation is free and there is no obligation. If you are the victim of negligence, or have been injured and are in need a lawyer in the Niceville area, the Bruner Law Firm is willing to help. Our experienced personal injury Niceville Attorney has handled numerous cases in Niceville as well as all surrounding communities; including Baker, Milton, Crestview, Valparaiso and Defuniak Springs. Our Niceville lawyer has been helping the people of Niceville and Valparaiso obtain justice for over 30 years. Our Niceville Attorney is ready to help with any personal injury, product liability, paralysis, motorcycle or boat wreck case that you or a love one may have. The Bruner Law Firm Niceville Attorneys are available by appointment any day of the week to help with a Niceville Car Wreck, Boating Wreck, or most any other type of legal question relating to personal injuries in Niceville, Florida. 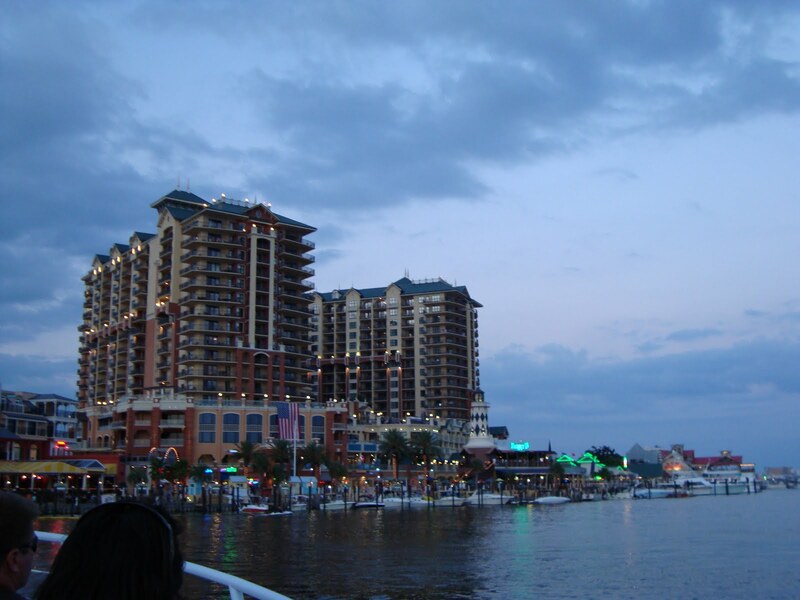 Affectionately known by locals as the “boggy bayou”, Niceville, FL is located in close proximity to Eglin Air Force Base – the largest air force base in the Free world – and is the sister city to Valparaiso, FL. Originally Niceville was known as Valparaiso, but later separated itself from Niceville – unofficially called boggy. Niceville officially incorporated itself as a city name to attract more visitors and residents. Niceville holds a festival every year called the Boggy Bayou Mullet Festival that attracts thousands from the surrounding area to eat, drink and watch top name country artists perform on stage over a weekend in October. Our Panama City Beach Law Firm has been serving all of Bay County for over 25 years. We are experienced at handling personal injury, automobile accident, boating wrecks, motorcycle collisions, as well as wide variety of other serious paralysis or injury cases. If you are looking for a Panama City Beach Law Firm, then you are at the right spot. Attorney Vince Bruner, a former state senator, has been serving our community for over 30 years. He has represented hundreds of injury victims throughout the years and is willing to go the extra mile to obtain a desirable result. Panama City Beach Law Firm is ready and willing to meet you at any location in the entire Bay County Area. If you have been in an automobile accident in Panama City Beach or the surrounding areas, our personal injury law firm is ready to help settle any dispute you may have with an insurance company. 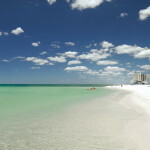 Panama City Beach is home to some of the prettiest beaches and emerald green waters in the United States. Don’t let an auto accident ruin your stay at this wonderful vacation destination. Our Panama City Beach Personal Injury Lawyer is more than competent to handle any claim you may have. With over thirty years experience in the Florida Panhandle area trying cases against insurance companies, attorney Vince Bruner knows what it takes to develop a case. If you need a lawyer in the Crestview area, the Bruner Law Firm is willing to help. Our experienced personal injury Crestview Attorney has handled numerous cases in Crestview as well as all surrounding communities; including Baker, Milton, Niceville, and Defuniak Springs. Our Crestview Attorney has been helping the people of Crestview obtain justice for over 30 years. Our Crestview Attorney is ready to help with any personal injury, product liability, paralysis, motorcycle or boat wreck case that you or a love one may have. The Bruner Law Firm Crestview Attorneys are available by appointment any day of the week to help with a Crestview Car Wreck, Boating Wreck, or most any other type of legal question relating to personal injuries in Crestview, Florida. Crestview, Florida is the county seat of Okaloosa County, Florida. It is located in the North end of Okaloosa county and sits between the Yellow River and Shoal River. It also happens to be one of the highest geographic points in the state of Florida, sitting at 235 above feet sea level. The city is often referred to as “Hub City,” a nickname given to its central location between Pensacola and Panama City/Apalachicola. 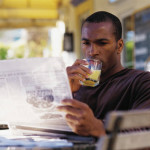 According to the U.S. Census in 2010, the population sits at 18,987. It is currently one of the fastest growing regions in Northwest Florida and is the largest city in Okaloosa County. The city of Crestview, Florida has also become home to the U.S. Army’s 7th Special Forces Group. A newly built facility sits on Eglin Air Force Base approximately six miles south of the city limits. The Bruner Firm specializes in all personal injury practice areas. If you have been injured or involved in some sort of an accident, you may have a claim. Our Panama City Attorneys will evaluate the merits of your case for FREE. There is no obligation and you will speak with a lawyer. Hiring a Panama City Attorney is an important decision and should not be taken lightly. When hiring a lawyer, it is a good idea to employ someone who may have experience in handling your specific type of case. 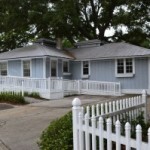 At the Bruner Firm, we have over 30 years of experience practicing in Northwest Florida. We specialize in personal injury cases, social security disability cases, and worker’s compensation cases. If you or someone you love has been injured, we can help. Contact our Panama City Lawyer today. If you are in Destin and need a lawyer, you have come to the right place. Our Destin Lawyer is ready to help with any personal injury, product liability, paralysis, motorcycle or boat wreck case that you or a love one may have. The Bruner Law Firm Destin Lawyers are available by appointment any day of the week to help with a Destin Car Wreck, Boating Wreck, or most any other type of legal question relating to personal injury, workers’ compensation, or social security disability. Our Destin Lawyer has been in the area for his entire life. If you have been injured and want an attorney that knows Northwest Florida, call our Destin Law Firm today at (850) 243-2222.